Tell those pesky pests to hit the road. 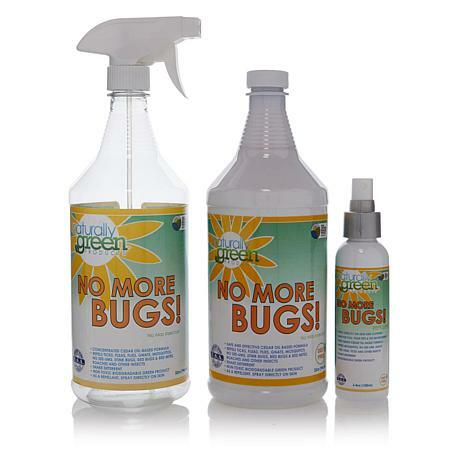 Great to use indoors or out, No More Bugs! 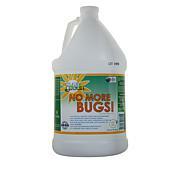 helps repel a variety of insects like fleas, dust mites, flies and roaches. Easily apply the cedar oil-based formula to dresser drawers, closets, mattresses, baseboards and more with the convenient spray bottle or sponges. The travel-size bottle is also great for taking on trips to use in hotel rooms. Measurements: Mixing Bottle - Approx. 10"H x 3-1/2" Diameter Travel Bottle - Approx. 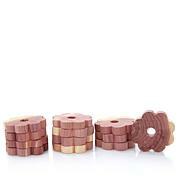 6-1/5"H x 1-3/4" Diameter Sponges - Approx. 3"L x 3"W x 1/4"
For general application: Add 16 fl. oz. of No More Bugs! concentrate to 1 gallon of water. Ive lived in my apartment for 4 years and all of a sudden about 6 months ago I started seeing cockroaches!! 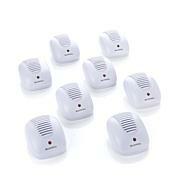 They were everywhere....I would come out to my kitchen at 3-4 am and they were on the walls, floors, countertops. My landlord sent pest control out and Im always wore about their products and my 2 dogs.. Anyway I received this a week ago and I cleaned everything with it...floors, cabinets, baseboards, walls etc....its now a week later and Ive seen not one cockroach!! Im so HAPPY! This stuff really works on all bugs !! Well, truth be told, they attacked where I live and eat. BUT, I attacked them back! It wasn't much of a battle either. I sprayed EVERYWHERE and EVERYTHING one day and the very next day they were gone. And trust me including professional sprayer and other tactics were used - the things must have had bionic properties. Did not think I could afford repeat purchases yet now I could not live without it. Strong odor so I ventilate when using or spray before going out so it can dissipate.